The Gunbot by CryptoBot is way the best and most advanced AutoTrader in the market today. You really can’t monitor when prices are at their lowest to buy and when it’s at its highest to sell. Sometimes, this condition holds right when you are asleep, by the time you are awake, the market seems to have left you behind making you lose substantial investment opportunities. That’s not your fault; you can’t just stay up all day monitoring the markets. That’s where the GunBot helps, now you have no reason to be left out, and you can now make money while you sleep. 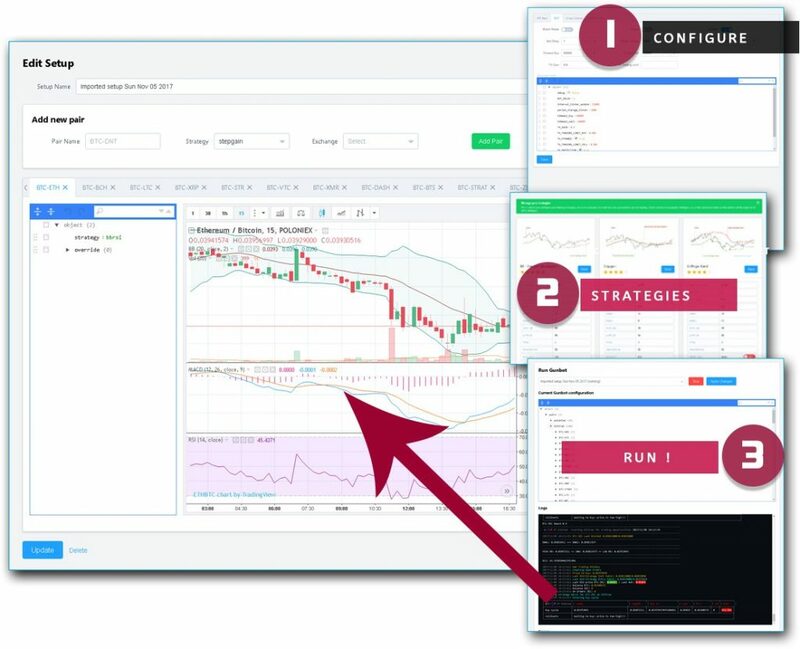 With an easy-to-use user interface, in few clicks, you can select what trading strategy suits you from a wide range which includes Bollinger Bands, Gain, Step Gain, Bolinger Band Step Gain, Trailing Stop Loss and many more. The Auto-Trader for Bitcoin and other cryptocurrencies works on major exchanges like Bittrex, Poloniex, Kraken, Bitfinex, and Cryptopia where cryptocurrency purchases have the highest daily volumes. This gives you an edge, taking advantage of the volatility on cryptocurrencies as more and more people get into making you quick gains; activating buying and selling in your stead in response to specific price actions. Cryptocurrencies are the new digital money inventions that have come to broad adoption, solving problems the current financial system posses and most especially providing borderless transactions around the globe without any intermediary, simply are user to user transaction. Cryptocurrencies are limited, just like gold. There is a finite supply; you can’t just create more of it. They are affected by the law of supply and demand. Everyone wants to get a piece of it, and so are willing to buy at any price. This has made cryptocurrencies not just a form of money or means by which we make financial transactions, but a great way of investment. Ethereum for instance, is the second most demanded cryptocurrency in recent years have seen a growth of $3 for 1 Ethereum to about $500 in a less than two years. Imagine if you had bought some when it was $3 you would have been seating on an interest of over 450 dollars without any effort, but just holding for that long. It’s never too late to invest. You don’t have to buy a unit of Ethereum or any other cryptocurrency at that; you can always purchase fractions of any coin ($50, $100, or $200 value) and still make a remarkable profit. But of course, you can’t possibly monitor the progress of all cryptocurrencies, or at least the well-performing ones. That’s where the GunBot comes in, giving you that edge to buy at a reasonable price even while you are asleep. 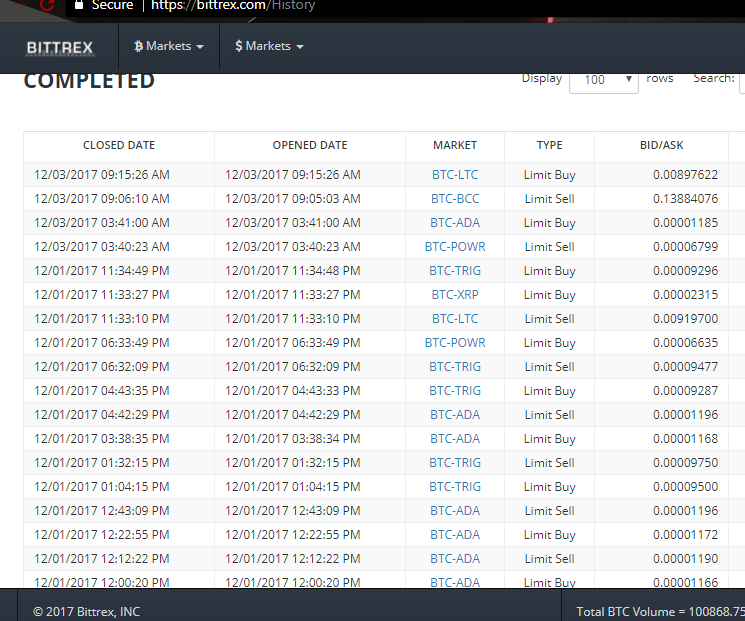 A deposit of 0.5 BTC was deposited into Bittrex exchange. Coins were able to grow from 0.5 to 1.2 BTC in a timeframe of 21 days. Using current BTC price, that would be a $10,000+ profit without any individual effort. All that was required was to set up the bot in 3 easy steps. Choose currency pair to monitor. Choose from a list of strategy to trade with. Select the exchange on which your funds are stored, and you are ready to start making gains. Over 2,000 active users can’t be wrong about the GunBot trader. They have a great support that attends to any problem you might encounter. The Limited Lifetime Offer with a 10% of the real price gives you an opportunity to join those who make money on auto-pilot. This article is a guest post. UseTheBitcoin Team is not responsable for any opinions or beliefs expressed in this article.